You’ve worked with some pretty incredible producers, do any specific experiences stand out for out for you? I've been fortunate to be able to assist and work with some really great producers, and quite often I find that less is more both in terms of engineering approach and production. I can't really think of any particular experiences off the top of my head. I'm always impressed by the way they can turn up at the start of the day, with barely a song in hand, and 10 hours later, a masterpiece is sitting on the multitrack. Attention to detail is impeccable with these people. Can you disclose any valuable production tips picked up while in the company of these guys? Committing to sounds at source is probably the biggest. Finding/creating a sound, and really striving to go with that idea instead of leaving yourself a load of tracks/mics to blend and rework come mix time. Getting sound at source is just so important, and often overlooked I think. Use of distortion is a trick I've seen many guys use and I've incorporated into my work, whether it's really making something dirty and grimy, really aggressive, or just to fatten something up a little or even sound cleaner, distortion is a such versatile trick. Another is the Smash/Crunch mic technique, getting a mic somewhere close to kick/snare on the kick, and really compressing the snot out of it, and blending to taste, or just using that as a main sound. I've seen it done many different ways and people manage to get such variable results/sounds out of it. Many people use this technique, but how you incorporate it into your sound is crucial part. One of my favorite, was a pretty big American producer/mixer that was mixing here with us. We set up the Leslie cab in the live room, with a couple of 421s on it, and he re-amped various things through it, my particular favorite being strings. With a quick vibrato/speed setting on the cab, it added an incredible haunting chorus and depth to the strings that I've never heard before. Mixed subtly behind the original pass created a beautiful sound. I like to do similar things with the Flint. Can you share anything about who you’re working with at the moment? Unfortunately I can't really say much about what I'm working on at the moment, except that I can't wait for the world to hear it! I recently worked with local band GANA (formerly known as Gut shot for Broadway) on their latest single and it sounds great. They are quite a special rock band, and are continuing to grow. I finished an album for international group, Fraaek, called “Nocturno” which is a pretty unique sounding record, infusing lots of different styles from Rock to sama to electronica. Really interesting. As a studio engineer how do you integrate Flint into your workflow? I love to use the Flint quite a few different situations in the studio, first and foremost it's great on guitar/bass and keys, and is almost always used on a session in some form. Typically it's used in front of the amp, and with tie-lines in the studio making life easy, I can keep it in the control room and tweak from there. Secondly I'm a big fan of using it as a hardware effect, running sends to an Output in Protools, into the Flint, and then back into Tools. Further into the tracking process, I quite like to run it as a parallel or even an insert across the vocal channel. It's super flexible and not just a “one trick pony”, meaning I'm happy to throw it on lots of different things without it all sounding the same. 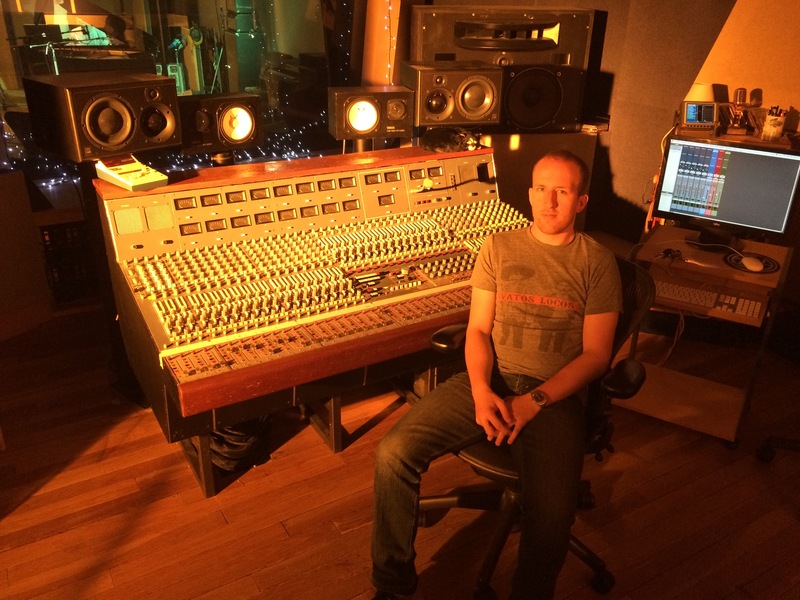 With the availability of plug-ins and studio hardware, what makes Flint worth patching in? I love tactile surfaces, the option to be able to really get your hands on a piece of gear and tweak means engineering almost becomes as much of a performance as the actually musicians recording do. I'm definitely of the school of thought that mixing is a performance, and why not make the recording side interactive too. Being able to tailor a delay or reverb tail to a performance real-time can take it to the next level, really bringing life to a piece. The flint means I can have access to the really important parameters of my reverb or tremolo, and interact with them as the artist records, really creating something unique. It's really great because it's both Line and Instrument level In and Out. That saves me 4 channels of Re-Amp and DI, and I can just stick it between the ins and outs of the interface. Time saving is a massive bonus, especially when budgets and time constraints have more and more impact on studio sessions these days. More-over, the Flint sounds awesome. We are fortunate to have a real Tile Room, EMT Plates, Lexicon, Spring and AMS reverbs at the studio, and I love them. However, I'm still really happy to get the Flint stuck in on sessions, it's just a great sounding reverb and trem. 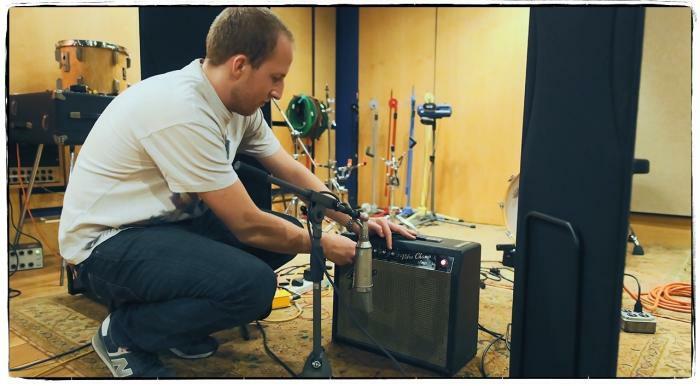 We have a lot of vintage Fender, Vox and other amps, and some have these really beautiful Tremolos and Spring reverbs on them, but sometimes the amp just isn't right for the sound, and so the reverb/trem will have to be sacrificed in order to find a slightly more appropriate tone. The Flint means I can take these great sounding reverb/trems to all the amps, and create a great hybrid. What is it that makes one studio more special than another to work in? Some studios have an incredible history, and you can kind of feel it, knowing all the music that has been done there, but inevitably it was probably one of the above factors: Live Room/Console/Gear collection that has drawn the engineer or artist to the studio. Having a great vibe is definitely a key contributor to making a studio special, but this can be attributed to so many different things. For me, I like somewhere that feels comfortable, that has a nice gear collection, and a good sounding Live Room. That can easily turn an average session into a great one. But nothing is going to really get it going like having a great song, with great players, and everything on top of that is a bonus. Unfortunately, not even the most special, most famous studios are able to stay open these days, with only a couple left in London, like RAK, AIR and Abbey Road. Those are definitely places considered special, “vibey”, atmospheric. It's a big melting pot of many factors that really creates these incredible studios. And many of those factors are completely uncontrollable, and may be pure luck. Last but definitely not least, the staff at a facility are paramount to giving the clients a good experience, making sure gear is maintained, the artists feel comfortable and looked after, and the staff pass on/utilise their knowledge of the rooms and gear to help the client get the best out of a place. What advice can you offer people starting out on their journey to becoming engineers / producers? You have to be prepared to work extremely hard, and for long periods, not necessarily reaping the rewards you'd expect all the time. Years of hard work and dedication are 99% of the time, the required attributes for everyone. Be prepared to work for free/help out at places to get yourself known. Opportunities always arise for those who are patient and put in the hours, and a lot of the time it can just be being in the right place at the right time. There's not one specific route to becoming active in the industry, everyone has very different paths, and any opportunity can be a stepping stone to something better, so burning bridges or turning work down often isn't an option. Passion and commitment are really really important, as well as being personable, making sure people remember you. It's a really tough industry to get in and stay active in, and I still have to battle every day for work and opportunities, keeping your “fingers in many pies” so to speak is a wise choice.